DID YOU KNOW: Workers collecting tea for generations, don't have land rights? Almost a year after statehood agitation Darjeeling Hills when people are yet to fully recover from the pangs of 105 days strike, another controversial issue has cropped up in the name of scheme titled Nijo Griha Nijo Bhumi, a social welfare scheme launched by the West Bengal government in 2011 with an aim of providing 5 decimal land to the homeless and landless people in the state. Never before in the chequered history of Darjeeling has the issue of land right raked up controversy in political circles with various parties voicing their concern ranging from dissatisfaction over the quantum of land distribution to state’s ploy of reducing the status of hill people to that of refugees. 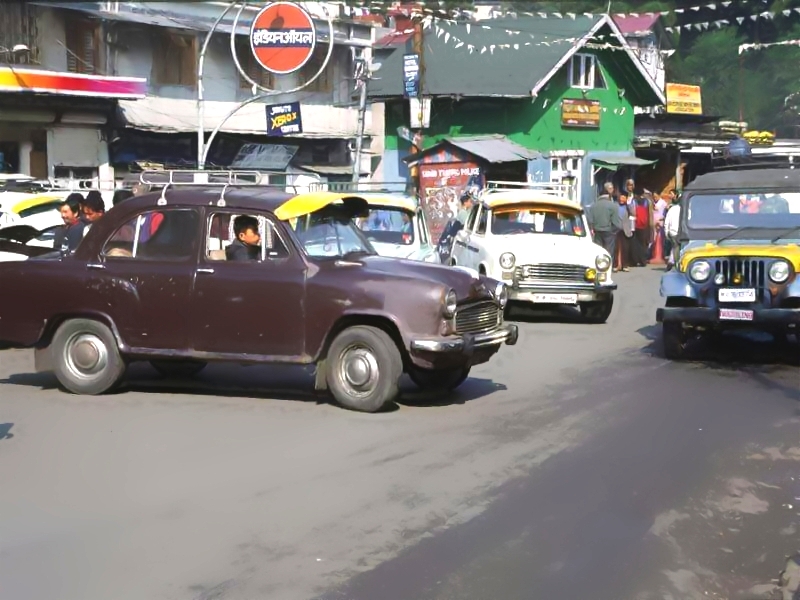 Darjeeling has a unique and interesting history as far as its land is concerned. According to late GNLF leader Shri Subash Ghising, this land is disputed and embroiled in the transaction of various international treaties between British India and Nepal and Bhutan. During his political ascendency, he had capitalised on the phrases like No Man’s land, Lease holds Land and had referred various treaties to support his claim, and it had always been his dream to incorporate this disputed land in the Indian Union within the constitutional framework. For a layman, it is like wandering through the labyrinth of treaties and governmental administrative experiments to get a clear picture of Darjeeling. After Deed of Grant was signed between British India and the Sikkim rajah in 1835, the Darjeeling tract was officially meant to be used as a sanatorium for the soldiers of Raj. However, Britishers in their effort to end the Chinese monopoly over tea, the then Superintendent of Darjeeling Dr Campbell embarked upon tea experiment in the hills, and this venture, later, was set to change the course of history of this land forever. Subsequently, the tea industry defined the socio-economic and geographical profile of this region purely on colonial design. The East India Company only had a commercial interest in yet to be called India, profit was their sole objective while carrying out their business in this land. Once the tea experiment of Dr Campbell bore fruits, and go ahead signal was given by the Governor General of Bengal, huge demand for labour force was created in the hills. Fortunately, the Britishers had to look no far beyond than the nearby hills and mountains, which had a large pool of cheap labour. Then the great migratory expedition began for our ancestors from their native place to Munglan where they were told money used to grow in tea shrubs, mirroring the Great Gold Rush of California of the 18th century. Darjeeling appeared to them what Eldorado appeared to the Spanish explorers. The influx of hardworking Nepalese under Sardari system changed the socio-economic milieu of the region forever, which in turn still haunts the settled natives on the question of their political identity. European planters chose to keep the hills outside the ambit of regulations of Bengal just to serve their commercial interest so that they could clear virgin jungles and hire cheap labour from neighbouring hills, which are now recognized as a separate nation of Nepal, according to their whims and fancies. The very status of Non-Regulated Areas, Scheduled District, Backward Tract and Partially Excluded Area under various government legislations happens to be the handiwork of European planters who were averse to the rules and regulations of Bengal Presidency. However, the same tea industry in Assam had different story to tell, it had the Transport of Native Labourers Act, 1863, Inland Emigration Act 1882, Tea District Emigrant Labour Act, 1932 to regulate the recruitment and working conditions of hired tea labourers while no such regulatory mechanism existed in the Darjeeling Hill under the garb of Non-Regulated areas. Noting the reckless misdealing of informal recruiters in the early 1860s, the British Raj kicked into gear to create a Protector of Immigrants, responsible for overseeing the well being of coolies migrating within India, as well as to other parts of the British Empire. However, the Protector’s jurisdiction did not cover Darjeeling. By contrast, Protector travelled extensively throughout Assam inspecting plantations to ensure that coolies are being properly paid; that they had migrated on their own volition; that working and living conditions were humane; that planters and labourers are fulfilling their obligations to one another. 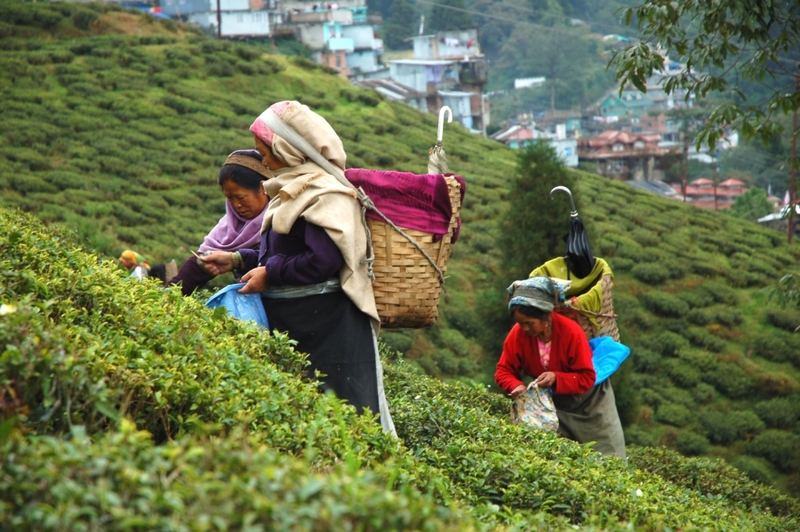 The European planters vehemently opposed the idea of bringing the Darjeeling hills under a regulatory framework to further their own interest. So, it would not be an overstatement to say present Darjeeling Hills has been built on colonial design where the Nepalese tea labourers were never conferred the status of British subjects, and till today they struggle for their political identity on account of denial of land rights to them which make them second-class citizens of this great nation. Post independence, after our first PM Nehru spoke about the tryst with destiny, many land reforms measures were undertaken in various states across the country. West Bengal also embarked upon the journey to provide social and economic justice to its people by enacting the West Bengal Estate Acquisition Act, 1953 with a sole aim of:- (a) abolition of zamindary system, (b) creation of direct relationship between state and the raiyats (c) putting ceiling on land holdings of the intermediaries. This Act was basically concerned with the acquisition of land from private parties referred to as intermediaries and then vesting it to state, but it was silent on the distribution of land to its people. While putting ceiling on the quantum of land by intermediaries and raiyats, the WBEA Act, 1953 contains the provision under sec 6 (3) to regulate the tea garden lands in the state, which says “ tea garden to retain only so much land, as in the opinion of the state government, was required for the tea garden”, the extraneous land was required to be resumed by the state government and vest to it under khatian no 1 meant for government land. The resumption process required a Land Resumption Advisory Committee to be formed which would give the opportunity of being heard to the lessee planter who had bought the land under lease. If European planters were against the economic interest of the tea labourers during the British Raj, today their desi version Indian planters could pose hurdle in the process of granting land rights to tea gardeners, however ultimately political will of the state government would have final say in this matter since there are many cases where huge swathes of unused tea garden lands have been resumed by the government and settled with the occupiers. Going by the state’s effort to look after its citizens by enacting various land reforms acts and thereby fulfilling the duties of a welfare state as enshrined in the constitution, apart from the WBEA Act, 1953 and WBLR Act, 1955, other important land reforms acts like West Bengal Acquisition and Settlement of Homestead Land Act, 1969, West Bengal Acquisition of Homestead Land for Agricultural Labourers, Artisana and Fishermen Act, 1975 were enacted for conferment of title in favour of occupier over 0.0334 hectares of land. These two Acts were the forerunners of the present Nijo Griha Nijo Bhumi scheme that seeks to provide 5 decimals or 3 cottahs of land for the purpose of homestead land to the landless and homeless people of the state. Interestingly, the people of Darjeeling hills are not landless and homeless but have no title rights on their land thus making them officially landless on paper, and this special issue has to be addressed by the state government urgently. Moreover, the scheme is to be implemented following certain guidelines wherein identification of the beneficiaries is one important aspect. How the government will implement the scheme is the onus on its part. As Darjeeling has most of its areas under tea gardens (leased lands), entire tea garden residents should raise the voice for the resumption of unused tea garden lands by the state and the resumed lands be settled with them under sec 49, WBLR Act 1955. The lapses in West Bengal land reforms acts that have neglected the tea gardeners should have been avoided by the then MLAs , representatives of the hills during the enactment of these Acts in 1953 and 1955 or in 1978 when Left government after coming to power had launched Operation Barga to provide land rights to crores of Bargadars in the state. Even the Zilla Parishad appears to have slept over the land rights issue since it had the powers to settle land under land reforms acts. The slumber continued to erstwhile hill autonomous body Darjeeling Gorkha Hill Council which had the executive powers under Sec 24 of the DGHC Act in relation to : “The allotment, occupation or use, or setting apart, of land other than any land which is reserved forest, for the purpose of agriculture or grazing, or for residential or other non-agricultural purposes, or for any other purpose likely to promote the interest of the inhabitants of any village, locality or town , subject to the provisions of the West Bengal Land Reforms Act, 1955 and the rules made thereunder”. 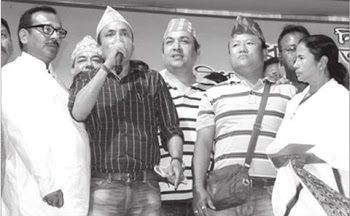 The previous tenure of Gorkhaland Territorial Administration was no exception as far as settlement of land was concerned. Under Sec 26 of the GTA Act, it also had the administrative, financial and executive power in relation to the allotment of land. So, the apathy of state government and the dysfunctional local authority, both were equally responsible for the present plight of the people without land rights. Ironically, to compound the issue of land rights, rumours and politically charged views on the 5 decimal land under Nijo Griha Nijo Bhumi began to do rounds. Political parties raised their concern of government trying to acquire the land held in excess of 5 decimal possessed by a family, some parties asked people to be cautious as this land was meant for refugees settled in West Bengal and so by accepting this land our status would be that of refugees. It is really sad to come across such hearsay in the 21st century India where social welfare-oriented legislations like Right to Information Act has empowered our society like never before. It is widely accepted the fact in our country that any political party after coming to power does launch flagship schemes and other populist welfare schemes to gain political mileage. However, the Constitution of our country has a provision that every action, orders, policies of the government of the day are subject to judicial review for their constitutionality. Governments can never take any action against the provisions of our Constitution. There are many landmark judgements from the Supreme Court against the states’ policy, for violating the spirit of the constitution. According to the constitution, the state shall always strive to promote the welfare of the people by securing and protecting as effectively as it may, a social order in which justice, social, economic and political, shall inform all the institutions of the national life. It must be borne in mind by the common citizens that the objective and guiding principles of the land reforms department are totally in sync with the Directive Principles of State Policy that seek to improve the welfare of citizens. The Constitution also has laid down strong safeguards in the form of Fundamental Rights to protect citizens from any injustice, be it individual initiated or state-sponsored. How far can judiciary uphold the spirit of our constitution can be surmised from the landmark case of Indira Gandhi Vs Raj Narain where the Supreme Court held the clause 4 of the 39th Amendment Act as unconstitutional and void on the ground that it was an outright denial of the right to equality enshrined in Article 14. So, under any circumstances, the state cannot deprive its citizens of their rights. It is also a well known historical fact that our great nation has never attacked any other country but on the contrary, faced numerous invasions and absorbed diverse socio-cultural traditions of the conquerors to evolve as a vibrant multi-ethnic, multi-linguistic, multi-religious nation. It has offered refuge to many asylum seekers, notably being Tibetan refugees who fled Tibet in 1957 to avoid Chinese persecution. So, the very idea of state conspiring against its own citizens, depriving them of their fundamental rights is totally unconstitutional that can be challenged in courts. The issue of land right is confined not only to the Darjeeling hills, even the small tea growers of Assam numbering around 78,286 have been facing this problem. In absence of land rights, they have not been able to enjoy benefits from statutory bodies like the Tea Board of India apart from living with the ignominy of being Bangladeshi settlers. Fortunately, for the people of Assam, their Chief Minister Sarbananda Sonowal has announced granting land pattas to the small tea growers on Sep 11, 2017. What people of our hills should emphasis upon is the urgency of securing land rights since land has belonged to the tillers from time immemorial. Land right is an inalienable right of our people. Only by securing land rights do our people become first-class citizens of this great nation. Researches also have shown a positive correlation between economic development and land ownership. Land and resource-related rights are of fundamental importance to the citizens since land is deeply attached to human society through religions and customs, it provides the sense of identity and self-respect and also form important economic factor. People should be aware of the importance of land rights and engage the government to grant the same. The core ideals of justice, will be realised only after conferment of land titles to citizens. 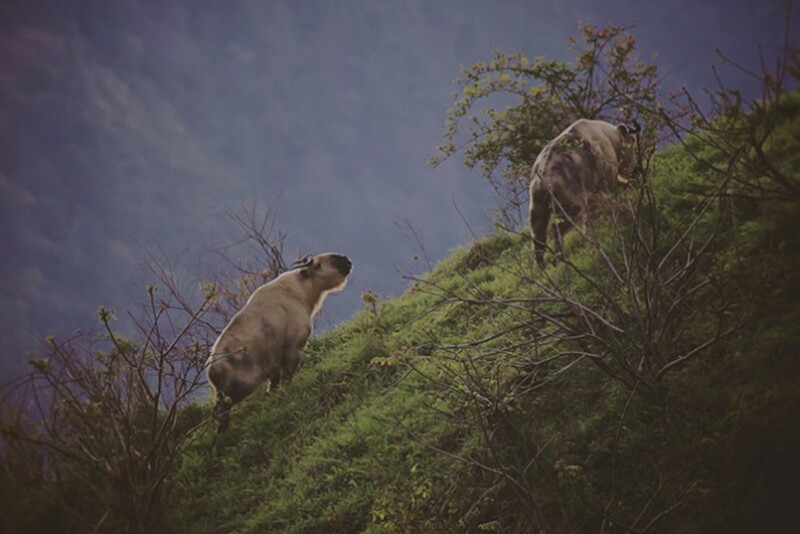 Be the first to comment on "THE CURIOUS CASE OF “NIJO GRIHA-NIJO BHUMI”: Issue of Land Rights in Darjeeling Hills"